Because the most compelling candidate is most likely to get the offer. This is a guest post by Lynn Tulip. If you’d also like to guest post here on JobMob, follow these guest post guidelines. It is the difference between being just mediocre, and being outstanding. The difference between success and failure means you need to be distinctive and set yourself apart from the competition. Nothing less than being formidable will do. Being a compelling candidate ensures that you apply for the right job, access the best employer and reach your potential. In a nutshell: you must stand way, way out from the crowd. 12) Clean up your online footprint so that potential employers will have no surprises. Being acceptable is just not good enough. You do not want employers to look elsewhere. Be a compelling candidate and guarantee your job success. Lynn Tulip runs her own HR and Career Management Consultancy. She works with individuals, helping them rekindle their work passion. She has worked with numerous candidates in career transition and presented job search topics at different conferences. Connect with Lynn online or follow her @LynnTulip and @A4P_HR. Read her newly published Get That Job, the art of successful job hunting and Can't Get That Job, 7 killer CV mistakes that destroy your chances of job success. If you want Lynn Tulip to win, share this article with your friends. Subscribe to JobMob via RSS or email and follow me on Twitter for more out-of-the-box ways to brand yourself. Hello Lynn, I love they way you have positioned the compelling candidate. The strategy is nicely formulated so every jobseeker can get the job they want. Thanks for sharing. the online footprint is like a big must…I am so glad I work for myself as – there are somethings that friends post that I wish they wouldn’t…and I know my partner when he was once a sales director pre-bank crash, had a recruitment drive and online was a key part of it…not sure how ethical it is for junior positions but it appears to be a way of the world….Thanks for sharing this indeed! Great article Lynn, reminds me of Connie Podesta’s work – and I believe you should be the best in all you can, personal and professional. @saraharrow Candidates have a hard enough time at the moment. World wide it is an issue. Being the best you can be just makes sense. @sarupashah Hey Sarupa, thanks for commenting and I’m glad you appreciate the blog. Online footprint is worthy of another blog when it comes to job searching. This is a brilliant blog, Lynn. When often candidates might be one of 200 candidates for the job, they have to be pretty special to stand out from the crowd. People who read, and action, your blog give themselves a much better chance of being noticed, and every advantage helps in this tough climate. @evenbreak Hi Jane, thanks for your kind words. It’s really tough at the moment and I feel for some of the candidates who are perhaps not making the best of themselves. One of the things I used to do (years ago now!) was similar to your success tories tip. I’d think of about three things / projects / stories that I was really proud of (and of course that highlighted my super-skills) and then i’d work these into the questions they asked. Always felt more prepared that way and put me in right frame to go for interview. Very useful advice Lynn! Candidates have to cover all their bases, because there are no prizes for coming second in a job interview. @BridgetFSM Thanks for your comment Bridget, and the comparison to Connie Podesta. Always be the best you can personally and professionally is a great mantra. @planetgermany Cathy, thanks for commenting and yes, being second in this race never got you the job. I have forwarded them to my son who, after a few years abroad, is about to start at university and is also looking for work. @german_tutor Thank you Angelika, I hope your son is successful in both his job search and at Uni. This just makes sooooo much sense. Thank you so much, Lynn, for providing us with down-to-earth, workable advice in our job searches. Great blog, Lynn and some really useful advice. If only young people had access to this information. ‘Morning Dawn thanks for the comment, how can we give access to young people? Lots of good advice here although not sure about the title? Why would a recruiter froth? I’m setting up my business as an outsourced recruitment manager for SMEs and microbusinesses so any guidance for candidates to present themselves as the most suitable person for the job by being realistic about their skills and preparing for an interview is time well spent and makes my job easier. Being realistic, positive and focused ensures you apply only for those jobs for which you are most suited and saves a lot of wasted time and disappointment. It also helps the recruiter by not having to sift through a pile of unsuitable CVs. Good luck for the prize! Hi Bernadette, I hold my hands up and say “I am not responsible for the title, honest” The competition organiser edited and reworded so this is what I am left with. Good luck with your new business, where are you based? Thanks for the comments, please keep sharing. Great blog great ideas – I’ll definitely send your link onto my friends. 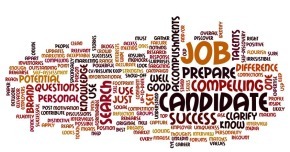 Compelling, I just love that word as a focus point – both for candidates and recruiters. It bypasses best, most suitable and any of the psychological tests, to help someone stand out. It worked 🙂 We got jobs THANKS TO YOUR ADVICE and KNOWLEDGE. Great advice, I’ll pass it along to others. Lynn, you always manage to get to the nitty gritty of every scenario. It is so true what you have said. One has to be so committed in these days of economic downturn. Lynn this is such a great post and so relevant right now. It’s a tough market at the moment and your advice here really highlights how to stand out from all the other candidates and get that job!! My Mom always told me that by the time you get to your interview, they know you can do the job, they just want to know whether you can fit in – this advice really helps you to stand out from the crowd, before and after you apply – great! I’d also mention that knowing your strengths is great – but having proof of them is what will make employers take notice. Great tips thanks Lynn. I think in today’s marketplace we all need help in making ourselves stand out from others. I have just created an e-workbook for interviewees and now need to add a couple more pages since reading this. So thank you for your timely advice. I will add a link to your page. As an ex-recruitment agent and now someone running a business and employing people, as well as doing some recruitment for one of my clients, I can’t stress enough how important your point 4 is. It’s frustrating to advertise a post for a sales administrator or a transcriber and get a generic CV telling me how strong someone’s skills are in the hotel industry. Hidden inside that hotel-orientated CV could be some real skills I’m interested in, but how long am I going to spend searching them out when I have so many other candidates applying? Geat article Lynn. Candidates need all the help they can get: regardless of whther it is for an apprenticeship position or a key rolithin the corporate world, those principles apply. One thing I have found lacking is that candidates fail to research the company they are applying to. Recently, a lovely young lady was pipped at the post for a position with us purely because she hadn’t bothered to find out exactly what we did and stand for. If she had it could have made the difference. Dope stuff! i’m gonna ace all the other. Kudos Lynn! I’ve seen this from the other side of the fence and for me the most important sign to look for in someone – apart from their being able to do the job – is that they seem to have a sense of responsibility. Nothing is worse for morale than someone who doesn’t carry their weight. Everyone can tolerate grouches, the never smilers, the practical jokers, the pedants – they are all just people in the mix: But people who avoid work while others sweat is crippling to morale. Fantastic tips here. I’m going to share this with some trainers I know. All good tips here,know your strengths and have the right mental attitude,and remember strengths come in all different guises.When employers profile they look at many attributes candidates have so”in the confrontation between the stream and the rock the stream always wins,not through strength but by perseverence”. @Carol Thanks for stopping by and commenting. I appreciate your support. Lilach and Mike – thank you for your kind words. It is certainly a challenge for job seekers at the moment. Hi Hannah, you are so right, knowing your strengths is key and having examples of how you use them is so important as you prepare for the job search. Hey Charlotte, your ebook sounds interesting and I’m glad you found this article interesting. Good luck. Anne, so pleased you like point 4. It’s one of my bete-noires about CVs that are generic and ones that don’t position the candidate for the job they are applying for. I was about to make more or less the same comment as Alison Neale—that becoming a compelling candidate is a whole lot like coming up with a solid business idea and marketing a product. The only difference is that the product is you! Thanks for commenting David, it’s interesting what you say about motivation and morale. How do you assess that in a new employee? Thanks for sharing this article around Corinne. Hi Jim, your quote on perseverance is very apt. Thank you for commenting. Great post! There’s a lot here similar to selling your service as a business – defining your USP, defining your personal brand and making sure you stand out from the crowd. Really good advice, I’ll be sharing this post with a few people I know are job hunting right now! HI Alison keep sharing, please! Thanks for commenting and you are so right – being compelling in every aspect of your business is sound! Thank you Mary for stopping and commenting. Yes being compelling is definitely all about YOU. Nice one, Lynn! Interesting use of the word “froth” – previously only come across “frothing with rage” or rather more intimate connotations. Many moons ago when I was in HR I was always astonished when candidates hadn’t researched the company they were applying to work for and had no questions at the end of the interview. These days I’m astonished that people don’t tailor their CV to the job they’re applying for. I’m really not bothered that they worked as a dishwasher/dogwalker/childminder when they were 16, I’d rather have a CV that takes up less than six pages. The more tips like this that are out there the better – good job! Fab article, I agree with understanding who you are, what you have to offer and what you want from a job. Considering both parties values and expectations are key to landing a job you will want to keep. Brilliant blog Lynn, not only will employers get the best candidate for the job, the employee will get their dream career. Hi Rebecca, it can take some ground work to discover who you are and what you want. All worth while in the end. Hands up Roy, I didn’t chose the title and was really unsure where the ‘froth’ came in. I think it was the editor and competition organiser’s prerogative to chose an engaging title. Anyway, I appreciate you stopping to read. Thank you for sharing your Tips with us Lynn. I’ve received some awful CVs and suffered some terrible interviews over the years. I would say that at least 50% of applicants actually make it less likely that they will get a job because of the way they approach the selection process. It has always astonished me. My interview tip? Try to be interesting. Have a story or two. How do I (did I) assess that in a new employee? I trust my judgement – the way they respond, contribute, body language, topics they show interest in – I think that is part of creating a team that will live on. Lots of excellent advice here, Lynn: I’ve forwarded it to both of my daughters. I particularly like your advice about cleaning up your online profile and I think that’s going to be especially relevant to many young people these days. The most negative reaction I’ve ever had from a candidate was when he was asked what were his interests outside work. In no uncertain terms he told us that was a private matter, and that we had no right to ask! Needless to say he didn’t get the job. @juliaEspn – pleasure to share with you. Hi James, thanks for commenting. You are so right – an interesting candidate with strong success stories increases their own chances of landing the right job. Interesting isn’t it Roy, that the candidate couldn’t have prepared some more positive response for you? They talked themselves out of the job. I do conduct interviews from time to time and could tell you some stories, another time maybe. An excellent article with so much practical sensible, common sense advice. I will be sharing with my sons friends from University who are searching for jos. Good point Jacqui. Initiative is a great skill, and examples of success should always be captured so you can remind interviewers that not only do you think you have it but that you can use it well. Hi Deb, thanks for commenting. Good luck in your new business venture. Being self-employed is very liberating, hard work but rewarding too. Thanks MyraLynn – hope the kids like the article too. Such good suggestions for anyone looking to impress a recruiter! The social media suggestions are new to me. Thanks! Great post Lynn. Jobs are scarce so job seekers need to put their best foot forward. I believe that you have covered all bases here. Hi Amy, thanks for commenting on the blog. Yes, social media is something to be aware of! Thanks Neil for your comment, I’m hoping that job seekers take comfort in the advice given.